Heather 's surgery to clean out and rebuild her left ear drum etc... went well. It took the doctor about 2 hours. She is home, but in a great deal of pain. Thank you for your continued prayers. I'm so thankful she will now have a new ear and everything fixed. I'll keep praying for my sweet niece. Thank you for updating, I've been thinking about her throughout the day and wondering how it went. I'm glad it is over and will be praying for her recovery now. Good night! 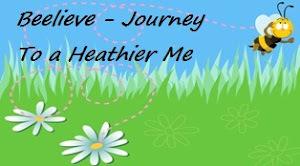 Lord, i pray for heather's complete healing and recovery. thank you, Lord, that it is your will to heal your children. we thank you in advance for heather's healing. in Jesus' name, amen. Thank You, Jesus, for the smooth sailing of the surgery. Please continue to touch Heather and bring full restoration and healing according to Thy will. We praise You. In Jesus name. Amen. Thankful that surgery went well. Praying for continued recovery.